Save time and effort by beginning your time capsule project with an easy package. First, find a time capsule you like. Then look at the package we've designed for it. 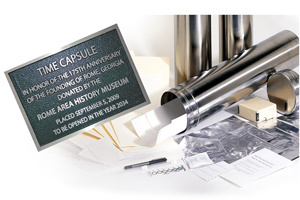 We have taken the time capsule, matching kit, and a popular size plaque - and discounted it for a package price. 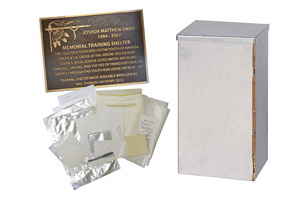 All packages start out with 8x10 Aluminum Plaques, but you can opt for a Bronze for additional charge. Should you want a different size plaque, just contact us to modify your order.